Our mission is to expand hope and self-love through creative expression. 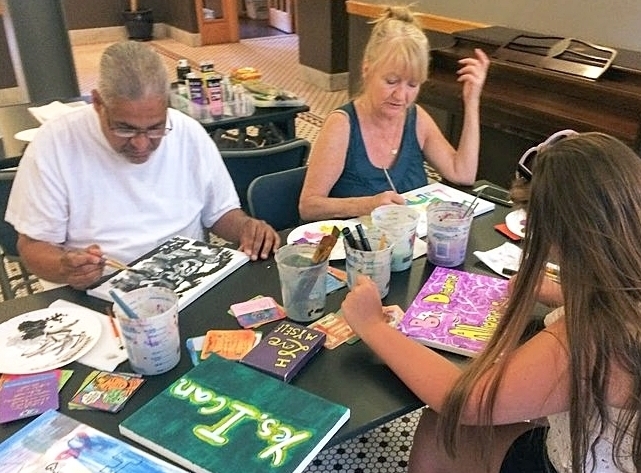 Since 2009, Arts & Dreams has been empowering people of all ages with art workshops. The co-founders of Arts & Dreams, Laura Baran and Patricia Geremia, have written their first book for children. Featuring Laura’s hand-painted illustrations that are based on photographs by Patricia, this is a heartwarming story with a powerful message of transformation. Recommended for ages 6 and up. A portion of book proceeds goes to Arts & Dreams. ARTS & DREAMS IS A PARTNER PROJECT OF FRACTURED ATLAS, A 501-C-3.